After leaving a wealthy Belgian family to become a nun, Sister Luke struggles with her devotion to her vows during crisis, disappointment, and World War II. Alan Arkin ... Roat / Roat Jr. / Roat Sr.
Lisa: Come on Louis, come on! 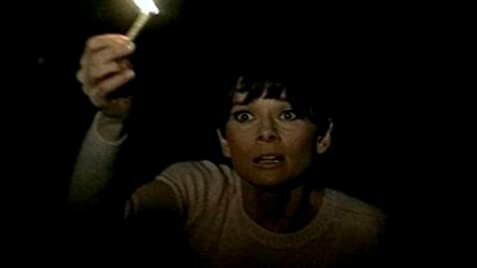 Decent but overrated "thriller" with a great Hepburn and some really forced, even corny aspects. Watch Arkin leap out at the end. Haha! I wish this was a better movie. I love Audrey Hepburn, and she's truly the star here trying to make the limited script work. I don't know that she plays a blind person quite right, but good enough for me. She's charming. The other highlight is the up and down performance of Alan Arkin in an early role. When he's the sunglass wearing psycho looking for the heroin in the doll he's pretty good, but when he puts on disguises and plays other roles he's kind of silly, though maybe that's intentional. Of the remaining four characters, no one is quite right on (the girl, I suppose) and the cop/thief played by Jack Weston is too exaggerated for my taste. This is a play, to be sure, made for film. That changes some of our expectations, in theory, but in a way that makes the script, which is the weakest point, even weaker. Plays, above all, have to be finely tuned in their dialog, their concepts, their economy. This one is such a huge strain, especially in the middle parts, it's hard to not laugh at it a bit. I'm not saying it's not horrifying in concept—a blind woman being tormented by some thugs to get information out of her she actually might not have—but the delivery is canned and so compacted in this screen version, shot almost entirely in an apartment, is just creaks. You do get the feeling this is supposed to the be the equal of say "Rope" or "Rear Window" by Hitchcock, which just shows you the limits of many directors and scripts because this doesn't have the depth, the visual panache, the psychological twists, of a good Hitch. 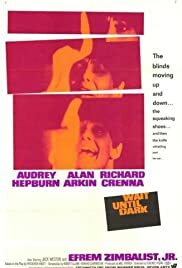 It does have some of the 1960s falseness that pervaded the industry (including Hitchcock's films), and I have never quite acquired a taste for it. 1967 marks the birth of "New Hollywood" and a vigorous, fresh kind of filmmaking that is rather the opposite of this. For good reason. I've seen this three or four times over the years, and every time I say, maybe I'll like it this time. Nope, not quite. It's fun, it's good, and it's got very good moments —and it's got Audrey—but that's not quite, not at all quite enough. It does have a great finale, however, and it has some really bizarrely inventive music by Mancini using quartertones on the piano. So, there are aspects...give them some effort.